We're lucky to have Cressey Performance coach Andrew Zomberg filling in for this week's collection of quick tips for your nutrition and strength and conditioning programs. Here we go! 1. Own the weight/movement during execution. Far too often, I see trainees fail to take control during the execution of a lift. For example, many people completely disregard the tempo, which inevitably leads to a faulty lift. If I see something like this, I tell the individual to "own the weight/movement or count to three” as they go through the eccentric portion." By employing this cue and focusing on the tempo, you will not only mitigate the risk of injury, but you will become more proficient with the given lift. So, the next time during the execution of a lift, try to become more mindful with how fast you’re completing each rep. Make an attempt to utilize a countdown or envision the “owning” cue in order to control the lift. 2. Limit yourself to three steps when you set-up for a squat. Squatting (whether a traditional back squat, front squat, or one that utilizes specialty bars) is generally a staple in most training programs. But too often, a lifter will take too many steps to set up once they unrack the bar from the J-hooks. This bad habit not only causes the lifter to lose his/her pre-settings (air and tension), but it also expends far too much energy during the foot-placement. So, once you are under the bar and your air is set, take only three steps for your set-up. On the first step, allow yourself to clear the hooks. Then, use the second and third step to position yourself in the appropriate squat stance. From there, reset your air and go to town! 3. Assume a quadruped position while loading for a push-up. Once you have mastered a conventional push-up (unloaded without elevation or additional stability points), the next step for progression is loading it (using a weighted-vest, chains or bands). However, this weight should not be added while in the push-up position because you will fight the anti-extension component and waste a lot of energy you need for the lift. Instead, assume the quadruped position (on all fours) as weight or added resistance is being loaded. If you opt for a vest or bands, still assume the quadruped position (rather than hanging out in a starting push-up position). By doing this, you allow your base of support to be closer to your center of gravity, making the set-up less strenuous. Remember, even though you want to work hard, be smart. You need to know when to preserve your energy in order to optimize the exercise. 4. Get out of your footwear as much as you can. The shoes we wear often restrict our range of motion and provide external stability that our feet need to develop on our own. This is why many lifters perform some of their training exercises barefooted. Eliminating footwear allows for improvements in ankle and foot mobility and stability, reduction in hypertonic calves, greater activation of the posterior chain, and increased proprioception of the foot. However, there are unfortunate situations where gyms do not allow members to take off their footwear. So in these cases, you should purchase minimalist sneakers (we like the New Balance MX20v3) that will aid in providing just enough stability to prevent lateral sprains, all while helping you increase ankle mobility and stability in the foot. Also, get out of your footwear (running sneakers, dress shoes, or heels) whenever you can, and while shoeless, implement foot and ankle drills in order to maintain adequate function. 5. Create a shake matrix to streamline the smoothie making process. A busy lifestyle forces many of us to eat on-the-go, which is why shakes are all the craze lately. Unfortunately, a lot of people make the same smoothie day after day, week after week, without any changes or new add-ons. Incorporating different nutrient-dense ingredients is very important, though. The variety provides a blend of essential macronutrients, vitamins and minerals you need for optimal bodily functioning. So, I refer you to the “shake matrix” (see below), created by Dr. Mike Roussell. This table presents different, tasty ways to eliminate boredom and ensure that you provide plenty of nutrients to your body. Use it as inspiration and change up your recipes! I published a "Random Thoughts" article two weeks ago and it was really popular, so I figured I'd throw up another "brain dump" here. 1. I think it's important to differentiate between an athlete's 1-rep max (1RM) weight and a powerlifter's 1RM weight. Powerlifters may have a little wiggle room in technique at heaviest loads because lifting heavy weights is, in fact, their sport. That said, athletes lift weights to improve performance in sports other than lifting, and also to stay healthy. To that end, we always emphasize to our athletes that if you can't lift it in perfect technique, you shouldn't be lifting it; the risk: reward ratio is too high. 3. I think "protective tension" should be a mandatory course in every exercise science, athletic training, and physical therapy curriculum. Not everything that feels "tight" needs to be stretched; that tightness might be the only thing keeping a person from slipping into debilitating pain. Take it away, and they may be in for a world of hurt. This is actually a perfect example of the pendulum swinging in the other direction in the training and rehabilitation world; for the longest time, we've "assumed" that stretching was the one thing we could always fall back on as being "safe." "While both efferent (motor) and afferent (sensory) processes contribute to overall neuromuscular function, the overwhelming majority of strength and power studies to date have looked exclusively at the efferent component. As a result, afferent contributions to strength, power, and athletic performance are frequently overlooked and largely undefined." Taking this a step further, the overwhelming emphasis in sports performance training programs is on efferent development: producing force. What we don't realize is that in many cases, our ability to display efferent proficiency is severely limited by afferent shortcomings. This is one reason why you see so many people who are weight room rock stars, but just don't come across as all that athletic in sporting contexts. Sports performance training isn't just about making athletes strong. Think about this as you're watching the NFL Combine this week. All the tests in question are closed-loop (predictable) in nature. The athletes all know exactly what they are supposed to do, so the evaluators are really just assessing efferent potential. Sure, there is sensory input involved in any athletic movement, but it's certainly not being assessed here. 5. Humeral retroversion is incredibly important for throwers. For those who aren't familiar with this term, give this classic article I wrote a read: Why President Obama Throws Like a Girl. d. increasing valgus stress at the elbow. This can lead to medial tensile injuries such as UCL tears, ulnar nerve irritation, and flexor/pronator strains. Or, it can lead to lateral compressive injuries (little league elbow). a. Make sure kids throw sufficiently at a young age to preserve retroversion while they are still skeletally immature. b. If someone doesn't have sufficient retroversion, make sure you're controlling what you can control: soft tissue quality, thoracic extension mobility, maximizing end-range rotator cuff strength, etc. These are important for everyone, but particularly for someone who lacks lay-back. 6. If you don't have access to heavy dumbbells, but still want the benefits of them for upper body pressing, you have a few options. First, you can always switch to 1-arm dumbbell bench presses. The instability reduces the amount of weight needed to achieve a training effect. Stability is heavily dependent on one's base of support, too. With two feet on the ground and your entire back on the bench, you're pretty darn stable. However, if you only set up your upper back on the bench, you'll also still be able to get a great training effect with less loading. I think you'll find it to be a very challenging core stability exercise, too. Spring training is underway. College baseball has two weekends in the books. High school teams in warm weather climates have been going for a month, and some schools in the Northeast actually start today. So, it should come as no surprise that we're now getting a lot of inquiries about what to do for in-season training. With that in mind, rather than reinvent the wheel, I wanted to reincarnate a series I wrote on in-season baseball strength and conditioning. Check it out! Put these tips into action and you'll be healthy and high-performing throughout the season. 1. Try this convenient way to massage your upper traps. 2. Consider giving more positive feedback. As part of our internship process at CP, we hold mid-term and final evaluations to let our interns know how they’re doing. It just so happens that this past week was the halfway point for our spring class. I’m fortunate that I get to watch our new interns operate under two very different environments, both the day-to-day semi-private strength training, and the faster-paced morning bootcamp classes. During the day, when things move at the pace of the athlete, a coach can have the tendency to switch into “observation” mode. Especially as the baseball off-season draws to a close, many of our athletes are very self-sufficient. From a technique perspective, they are relatively flawless. In the morning, we have many clients who have executed some of the day’s exercises hundreds of times. In the fast paced bootcamp environment, a coach may have the tendency to look feverishly for faults, and find none. Often times, people do things correctly and are not even aware of it. Positive feedback can help them hone in on something they are doing well, how they’re making it happen, and how it feels. You will notice that these actions/feelings will translate well to the actions and feelings they need to create on an exercise where they aren’t as comfortable or proficient. Receiving positive reinforcement will help them push harder, and bring more energy to the session. It’s a great opportunity to break the ice, and build a rapport with a client who may be more introverted. As a coach, it keeps you alert and in a more “active” mode. 3. Make a more nutritious sandwich. Speaking of our interns, I recently got a fantastic idea from Brooks Braga, one of the current ones. Brooks turns to a sandwich for a quick meal on a daily basis, and I couldn’t help but notice his bread slices looked a lot like a pancake. As it turns out, they were – and some pretty nutritious and delicious ones at that! In fact, they are made primarily from almond and coconut flour. I asked if I could share the "Brooks Bread" recipe and he obliged; thanks, Brooks! d. Scoop a heaping tablespoon-sized amount of batter and spread into your shape of choice on a griddle/frying pan. If it’s as runny as normal pancake batter the pancakes will not stick together, so it should be thick! e. 1-2 tbsp cacao powder can be used to make chocolate pancakes...why not? a. The batter should be thick enough to the point where you have to spread it out on the griddle/frying pan. If it is too runny the pancakes will not hold together very well. b. You might have to play around with the coconut milk amount depending on your other ingredients. I would suggest starting with ¼ cup coconut milk and adding more until you get a consistency that is thicker than normal pancake batter but still spreadable. There you have it: a tasty substitute for your lackluster whole grain bread slices. Give it a try! 4. Try this simple programming tip to add more volume to your assistance exercises. The key is to set your best set of 8 in week 1 and then use that same weight all the way into week 4. By increasing volume through the addition of sets first, and then through the addition of reps and sets, we are able to do more total work both overall and in a single set. That’s a good recipe for increased muscle growth, and strength gains as well. The bigger the movement, and the stronger you are on it, the more difficult it will be to make this a reality. With that in mind, stick to this scheme for your assistance work. 5. Ditch the handle to increase grip demands on a farmer carry. Long-Term Athletic Development and the ABCs of Training - This was an awesome article from US Lacrosse, but it applies to all sports. It closely reflects our approach to developing baseball players at Cressey Performance. Carb Controversy: Why Low-Carb Diets Have It All Wrong - Brian St. Pierre wrote up an extremely well-researched post for Precision Nutrition - and some of the points he make will surprise you. 11 Ways to Make an Exercise Harder - Call this a little "Throwback Thursday" inclusion, as I wrote it back in 2010. 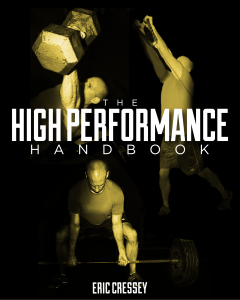 If you're looking to learn how to write strength and conditioning programs, this is a good resource for understanding progression and regression. It's time for the eighth installment of my series on coaching cues. Try putting these three cues to work for you. 1. Bear hug a tree. I love anti-rotation chops as a way to train rotary core stability. Unfortunately, a lot of people butcher the technique so that they can really load up the weight on these. In short, the closer the arms are to the body, the easier the exercise. So, if you really bend the elbows, you can use a lot more weight without getting as good of a training effect. With that in mind, I tell folks to "bear hug a tree" as they're doing these exercises, as it ensures that the elbows are only slightly bent, but still well out in front of the body. 2. Be heavy on the pad. Chest-supported rows (also known as T-bar rows) are an awesome exercise to strengthen the upper back, and the presence of the pad on the front of the torso is a great external focus point to keep the lifter's technique sound. That is, of course, only if people use it! One of the most common mistakes I see is that people will keep their hips on the lower pad, but then extend heavily through their lumbar spine (lower back) to lift the weight. In reality, it should be a neutral spine posture from top-to-bottom; the ribs have to stay down. The cue I like to give athletes is to "be heavy on the pad." Keeping the chest firmly on the pad prevents the rib cage from flaring up when it should just be movement of the scapula and upper arms. 3. Pull the bar into your upper back. This was a coaching cue that made a huge difference with my squat. One of the biggest mistakes you see lifters make when back squatting is that they don't take control of the bar. Rather than pulling it down into the upper back to create a good "shelf," they just let it sit there. The last thing you want to be under heavy weights is passive. By pulling the bar into the upper back, you not only dictate the bar path (it can't roll), but also get the lats engaged as a core stabilizer. While on the topic of squatting, if you're looking for a thorough squat technique resource, I'd encourage you to check out Jordan Syatt's new resource, Elite Performance Squatting. It's a great two-hour presentation. It's been a while since I posted one of my "Random Thoughts" pieces, so here are seven things that came to mind yesterday. 1. After the initial year or so of “organized” strength training, athletes don’t get hurt because they’re globally weak; they get injured because they’re positionally weak. This dictates the window of adaptation you seek out. 2. The Turkish Get-up is an outstanding exercise for not only challenging athletes, but also re-establishing fundamental movement patterns they may have lost over the years. However, that doesn’t mean that everyone is prepared for it on day 1. Obviously, one must have adequate shoulder flexion to hold a kettlebell overhead, but – as the picture below shows – you can’t overlook the importance of having adequate hip mobility and a good hip hinge pattern. In short, if you can’t hip hinge and have brutally short adductors, you can’t do a Turkish Get-up…or at least not a good looking one. So, if you struggle with the left hand overhead in particular on get-ups, there's a good chance that it's because everything under that arm is slightly out of whack. For those folks, a left-stance toe touch can be a game changer. 4. Pull a quad (rectus femoris), and you’ll usually bounce back really quickly. Pull an oblique and it’s much more stubborn. What’s the difference? The rectus femoris is really all about the sagittal plane, whereas the obliques have a big role in controlling excessive motion in the sagittal, frontal, and transverse planes. The more complex the job of the muscle, the more significant the injury – and the longer the rehab. Hamstrings have roles outside the sagittal plane and can be equally stubborn, too. 5. “This athlete is strong enough” is an observation you might make with some male athletes. The risk of continuing to load up to try to improve maximal strength far outweighs the potential benefits of those strength increases – and there’s likely a bigger window of adaptation elsewhere in their athletic profiles. Conversely, I can honestly say that I’ve never met a female athlete who was strong enough. It just doesn’t happen. 6. Downright terrible coaches don’t look to the literature at all, or they do so only to cherry-pick study results that support what they’re already doing. Mediocre coaches look to these resources so that they can have someone else tell them exactly what to do. The best coaches read diligently and critically, scrutinizing everything they encounter to determine if it is correct and, if so, how it can be incorporated into their existing philosophies. Full disclosure: this is actually an excerpt from my e-book, The Ultimate Off-Season Training Manual. I reincarnated it after a discussion with one of my interns the other day. 7. Watching the incredible success that the Netherlands has with speed skating makes me wonder how many 100mph arms there might be kicking around in the NBA, NFL, and other professional sports. Much like we’ve seen with baseball players in the Dominican Republic – where there really aren’t “competing” sports – if you prioritize development one sport across a population, you’re going to find more studs even if that population is smaller. In the United States, a larger country with more “sports variety,” it makes me wonder if this is actually one more argument against early sports specialization. Maybe if we were more patient and followed athletes for longer in a general sense, we might discover more freak athletes later in the game? Former NBA player Tracy McGrady attempting to play baseball is a great example. He was a very good NBA player, but could he have been a Hall-of-Famer in baseball? Similarly, does anyone deny that some NFL tight ends could have been NBA power forwards, if they’d directed that focus elsewhere? Early specialization doesn’t just lead to more injuries and burnout and stunted development; it also potentially redirects good athletes away from sports in which they could be sensational. Of course, there’s no way to know! Is Your Vitamin D Supplement Hurting or Helping You? - This might be the single-best thing I've ever read on Vitamin D. The Precision Nutrition team did a great job with it. Buddy Morris: The Next Chapter - This is a great podcast at EliteFTS with Buddy Morris, head strength and conditioning coach at the University at Buffalo. I've long been a fan of Buddy's not only because he's a bright guy, but also because he's an example of everything that's right about strength and conditioning. He's humble, super approachable, and always looking to get better - regardless of how long he's been in the field. This is a "must listen" for up-and-coming coaches. Today's guest post comes from Cressey Sports Performance coach, Andrew Zomberg. Andrew's a fantastic coach and a great writer, so you'll be seeing much more about him around here in the future! Habitual behavior happens unconsciously and compulsively. Daily activities like brushing your teeth or setting your alarm before bed are programmed into your brain simply because of the repetitive nature in which you carry out these actions. You want to create the same kind habitual behavior in your lifting routine. But, building these habits requires specificity. In other words, it is not enough to say, “I want to be a more efficient lifter.” This big goal needs to be broken down into small, specific behaviors in order to make the change attainable. Below are three important habits to establish in your lifting routine. These behaviors will pave the way to efficiency. Just know, reinforcing them will take time. According to a 2009 study from London’s University College, it takes 66 days to successfully adopt a new habit. What does this mean? At first, you will have to work hard at implementing them into your lifting routine – so don’t get discouraged! Eventually, these habits will become second nature, and you will incorporate them without even thinking about it. Write everything down. This includes the load (amount of weight lifted), any modifications (regressions, progressions, etc. ), and the settings (cable column adjustments, hand placements, stance, etc.). It is not practical to remember exactly what you did last week, so take the guesswork out. Keeping track of your workouts is also highly motivational. Tracking your progress provides positive feedback and reminds you just how hard you are working to attain the end goal. Execute the program without deviation. Program designs are created for a reason. Exercise choice and exercise order aren’t just arbitrary recommendations that can be ignored. Sure, warm-ups can be boring, and of course it is easier to do a lat pull down than a chin-up, but there are no shortcuts to speed, strength and growth. So, stick to the plan! Improve your accountability to minimize hiccups in your programming. If you have a work commitment, schedule your training session around it. If you have an injury, find a way to safely work out. If you often make excuses to skip a weekend workout, train with a partner to increase your accountability to get the gym. Learn the right way to do each exercise. There are plenty of experts in the field who have mastered specific lifts from whom you can learn. However, please keep an open mind. Do not get caught up with just one individual. By learning from several enthusiasts, you are exposed to many different physical and verbal cues that will help perfect your lifts. Practice lifts and all of their steps. There are several key components of a lift, including (but not limited to) the set-up, the tempo of the ascent/decent, and the lockout of the movement. Do not race through exercises. Take the time to execute the movements in their entirety in order to maximize results. Figure out the limiting factors. These factors may include, mobility or stability restraints, lack of kinesthetic awareness or a pre-existing injury that is preventing the proper execution of a movement. There are several ways to reveal these issues. Watch videos. Work with a training partner. Get assessed by a trained professional, like an athletic trainer, physical therapist, or chiropractor. It is essential to address limiting factors because if you continue to perform in faulty movements, they will become ingrained, which prohibits growth and could eventually lead to further injury. Manipulate the volume. Changing your reps and sets by either adding more or less weight in your current program will provide the muscular disturbances needed for noticeable and consistent growth. Add more exercises to your toolbox. Your muscles will not get stronger unless you force them to do so. By utilizing different exercises, you impose new stresses to the body, eliminating monotony and allowing for adaptation. 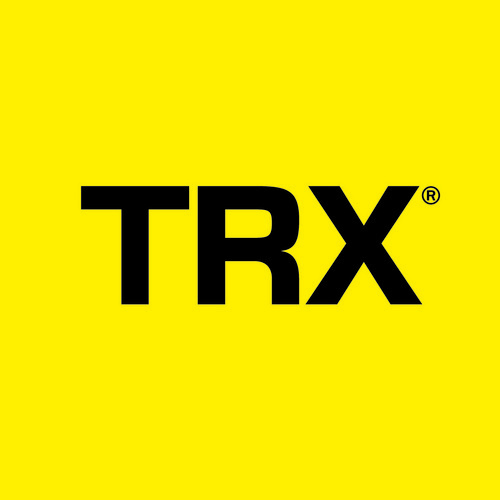 This change leads to an endless list of benefits, including the improvement of cardiovascular health, the enhancement of body composition, and the development of quality of movement. Play around with additional training variables. Alter your base of support (stance), create new ranges of motion (deficits or partials), adjust your grip placement or modify your tempo. Changing the variables not only warrants growth, but also helps you avoid plateaus. Remember, repetition allows the body to adapt to the repetitive motions, so mix it up – on a monthly basis! Andrew Zomberg is a strength and conditioning coach at Cressey Performance. You can follow him on Twitter: @AndrewZomberg. Baseball Training: Are Shoulder Dislocates Appropriate? Q: I recently heard a national level gymnastics coach speak on how he believed shoulder dislocates with a dowel rod (working up to weighted dislocates) are a panacea for shoulder health and strength. I was wondering if you use them with your clients/players, and why or why not? A: Thanks for your question. In short, the answer would be NO, I would never do shoulder dislocates with a throwing athlete. I discussed why in a previous video that goes into great detail, so rather than reinvent the wheel, here it is! Effectively, shoulder dislocates replicate some of the movements that I outline as problems here. 1. Protective tension of the biceps tendon (secondary to rotator cuff weakness) - just stretching it out would remove what little anterior stability remains. 2. An injury to the anterior capsule, latissimus dorsi (humeral attachment point), subscapularis, supraspinatus, or biceps tendon - just stretching these areas out will likely exacerbate the injury. 3. 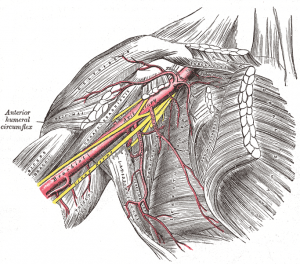 Irritate of the nerves that run anterior to the humeral head - nerves don't like to be stretched. 4. True muscular shortness of pectoralis major or another structure - Effectively, in doing shoulder dislocates, you're throwing all your eggs in this basket. The only problem? Most throwers already have an insane amount of horizontal abduction and external rotation range-of-motion on their throwing shoulders. They aren't even close to having legitimate tissue shortness that would benefit from stretching. This is something we work hard to drill home in our Elite Baseball Mentorships as one of the most important takeaways from the events. Now, if we're talking about a regular ol' desk jockey who doesn't throw a baseball (or other sporting implement), play tennis, or swim, then dislocates might have some merit. These individuals likely have some muscle/tendon stiffness that can be stretched out before they get to a point where they might crank on their joint capsule or nerves. I would never use it as a "blanket" recommendation for everyone, though. The only way to know is assess the individual and then plan accordingly.